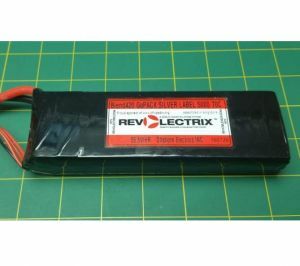 There's a new #1 in town with the lowest internal resistance(IR) in Lipo history. 70C Discharge and 4.2 volts per cell. For high power draw and long cycle life. - Charge Voltage 4.2volts per cell. 1. Automatic auto stacking process and the worlds only spray coated anode/cathode in RC industry. 2. The most strict single cell capacity, voltage, resistance, discharge curve matching process. 3. Superior Japan and Korean Lithium Polymer raw materials: Hardened Carbon (Go): Pre Processed copper current collectors. NOTICE FOR ORDERS OUTSIDE THE USA! The US Post Office has restricted Lithium packs from shipping. We can no longer ship these outside the USA! Sorry for this! !